Steve and Judy Zelnak donate $4 million to create NC State’s first endowed dean’s chair within the Poole College of Management. Chancellor Randy Woodson announced a $4 million endowment to create NC State’s first endowed dean’s chair, within the university’s first endowed college. Steve and Judy Zelnak of Raleigh, North Carolina, have created the Stephen P. Zelnak Jr. Dean’s Chair within the Poole College of Management. An endowed deanship is the single most prestigious position in a college, and the Stephen P. Zelnak Jr. Dean’s Chair will provide a valuable resource for recruiting, retaining and rewarding the most distinguished of academic leaders in management education. The Zelnak Chair will further the college’s commitment to academic excellence and the importance of academic leadership, and bring further recognition to its academic programs. The inaugural recipient of the Stephen P. Zelnak Jr. Dean’s Chair is Dr. Ira R. Weiss. Dr. Weiss joined NC State in December 2004 as the third dean of the Poole College of Management. Established in 1992, the Poole College of Management is a testament to the game-changing power of private support and the importance of building a culture of philanthropy. In 2010 the college was named the Lonnie C. Poole Jr. College of Management following a $37 million gift from Lonnie Poole and his wife, Carol Johnson Poole. 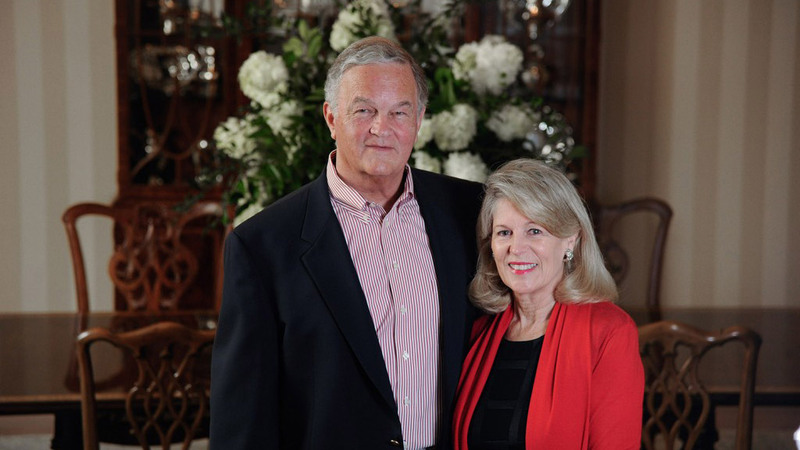 The relatively young college also received a transformational gift from Ben and Marianne Jenkins in 2007 to fund its Jenkins Graduate School of Management programs. Steve Zelnak is former chairman and CEO of Martin Marietta Materials, a leading producer of construction aggregates, dolomitic lime and magnesia chemicals. He served as CEO of the company from 1993 to 2010 and as nonexecutive chairman until 2014. He was responsible for taking the company public on the New York Stock Exchange in 1994. From 1982 through 1993, Zelnak headed the company as a division of what is now Lockheed Martin, where he was an elected corporate officer. Over his last 10 years as CEO, Martin Marietta was the highest performing company in its industry. In 2008 and 2009, Fortune magazine rated Martin Marietta as the most admired company in its sector worldwide. Zelnak serves as a director for Beazer Homes, a leading national homebuilder, and has continued as a director of Martin Marietta. He is active in a number of civic, education and business groups, including having served as chairman of the North Carolina Chamber, North Carolina Community College Foundation, National Stone, Sand and Gravel Association, Peace College Board of Trustees, North Carolina Foundation for Research and Economic Education, and the North Carolina Aggregates Association. He recently completed service on NC State’s Board of Visitors and serves on NC State’s Poole College of Management Advisory Board. In Raleigh, the Zelnaks recently invested in the Judy D. Zelnak Center for Hope, a new Salvation Army facility. They also have funded a term professorship in the Poole College of Management.